Monday and Tuesday of MST are medical appointment days. 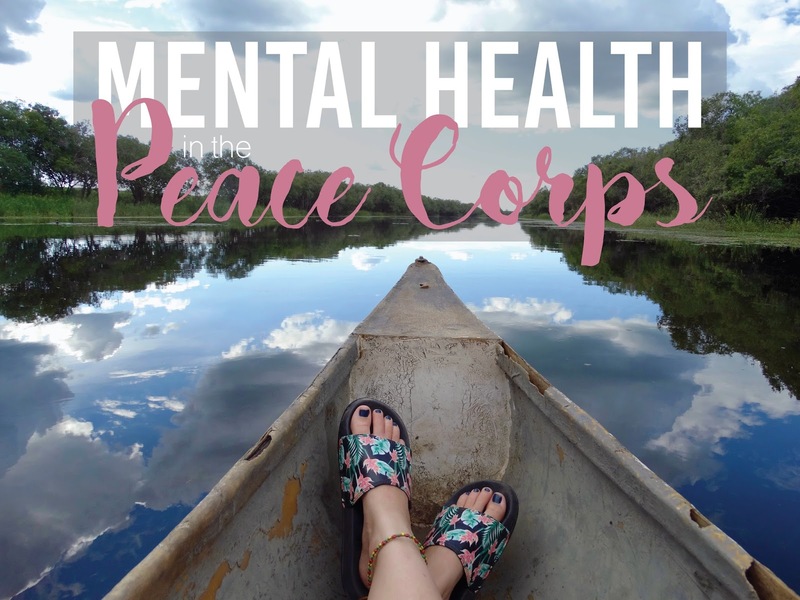 Basically, PC requires that every volunteer get a physical and dental examine after 1 year of service, and MST is the designated time to do so. However, since I live so close to Pretoria, I had my physical and dental prior to MST (when I was in town for other things) so I didn't have to attend those days. In fact, I was so busy with work and GRS, I didn't even leave site till Wednesday. Wednesday of MST was a travel day when all PCVs were transported from Pretoria (where med appointments are located) to a resort outside of PTA for the rest of the sessions. 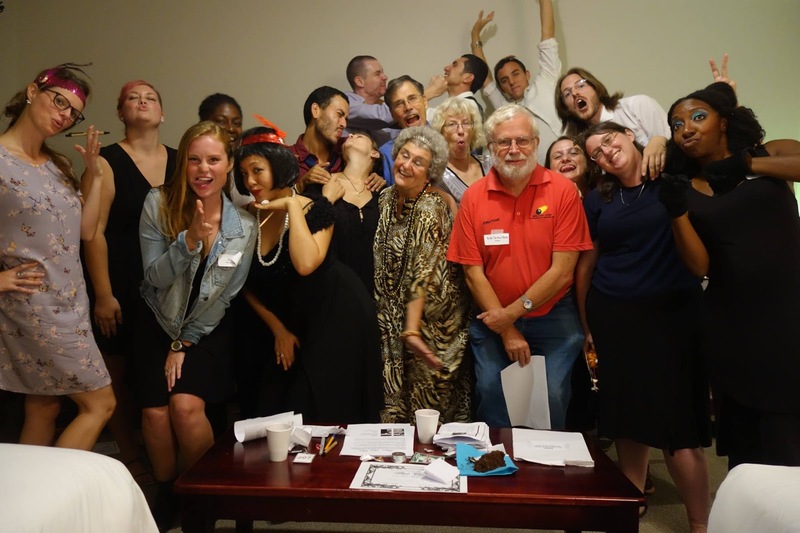 Wednesday night, Anna from our cohort hosted a 20s themed Murder Mystery Party (cause that's how we do). Surprisingly or not, I actually enjoyed hanging out with my cohort after 10 months apart. Thursday and Friday we attended training sessions. We spent time talking about the highlights/challenges/best practices of our service thus far, we discussed diversity and resiliency, PC told us about third year extension positions, we reviewed filling out VRFs (Volunteer Reporting Forms - they are complicated and I doubt I've ever filled one out correctly so this session was helpful) and how to tailor our projects to meet CHOP project framework goals, and we went over policy and procedure (again). 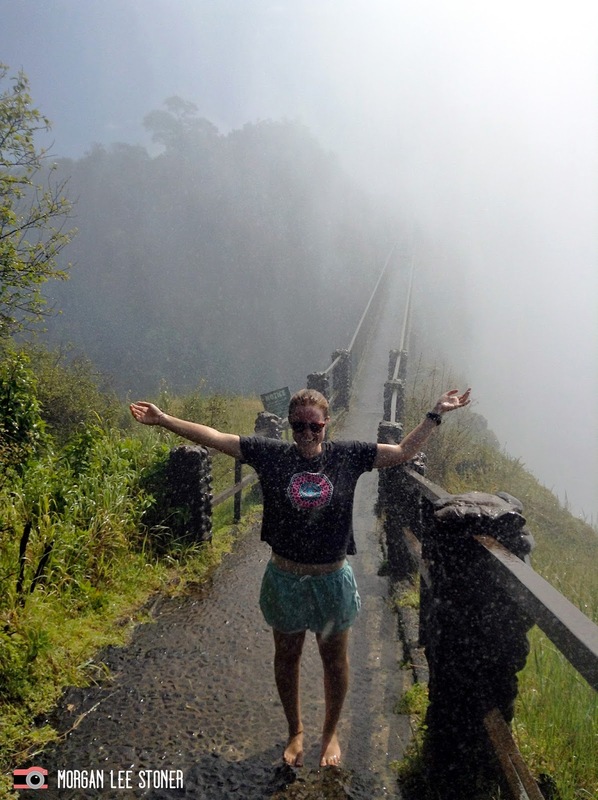 Saturday, when most volunteers were traveling from MST back to site, Austin, Cathy and I traveled to VICTORIA FALLS!! 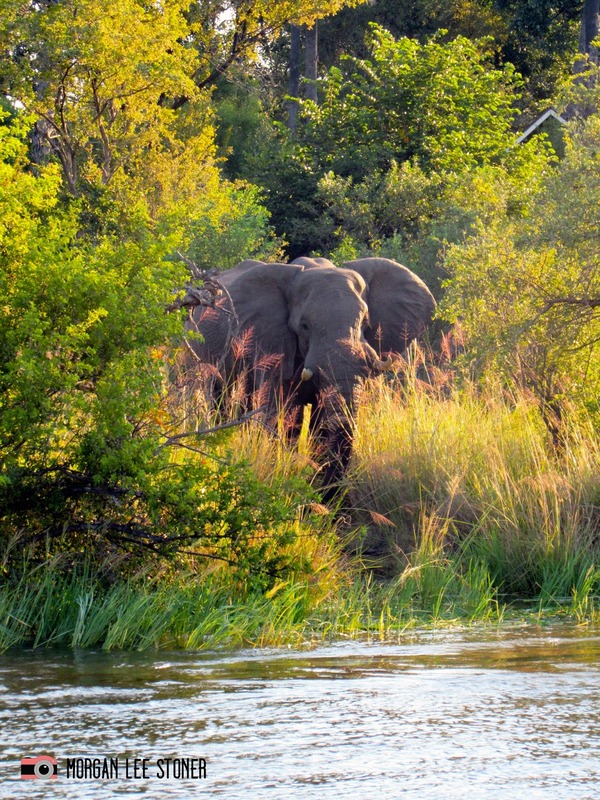 For those unfamiliar with African geography, Vic Falls sits on the northern border of Zimbabwe and the southern border of Zambia and is part of the Zambezi River, which separates the two countries. 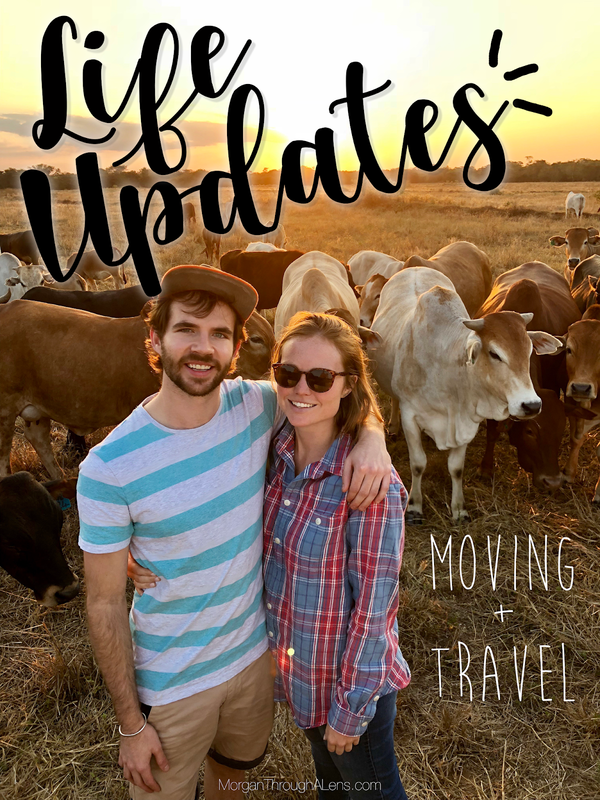 Originally, travel to Zimbabwe was heavily restricted by PC for security reasons, but the travel ban was recently lifted so we are basically free to roam as we please. We left Pretoria around 4pm and arrived at the border gate around 1am. I've never crossed an international border by foot, but apparently every border has two border gates; one to leave the country, and one to enter the next country (I feel like I should've known this). The land in between is pretty much no-man's land (or in the case of the Zimbabwe/Zambia border, it's Zim Zam). 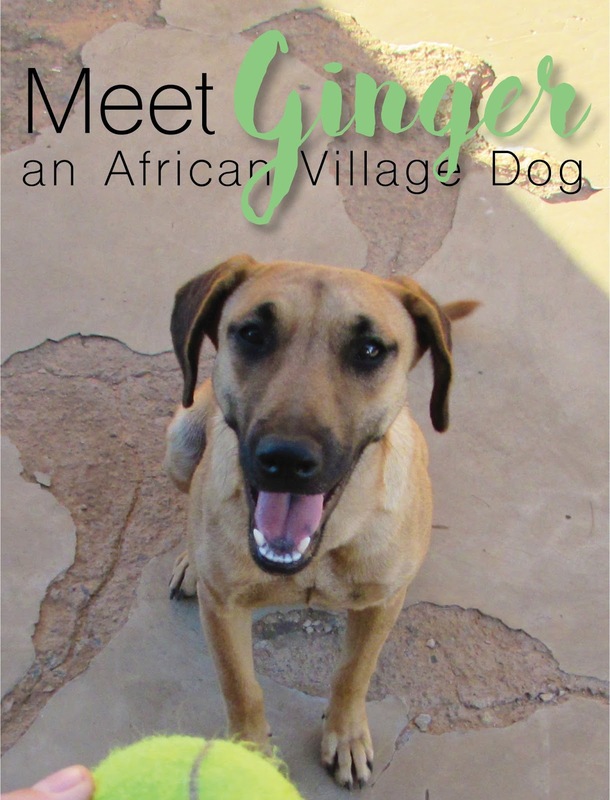 At the Zimbabwe border gate we ran into a problem. The visa we needed to enter the country could only be purchased in cash (and Zimbabwe uses American currency; of which we had none) and they had no ATMs at the border. When it looked like we were about to be stuck in no-man's land forever, our bus driver loaned us the cash until we could get to Bulawayo and an ATM. We got to Bulawayo (a city in central Zimbabwe) about 6 hours later, withdrew cash, and waited for our next bus to Victoria Falls. The 18 hour bus ride from PTA to Bulawayo wasn't too bad because we were on an Intercape Sleepliner (the seats recline about 120 degrees) and we slept most of the way. 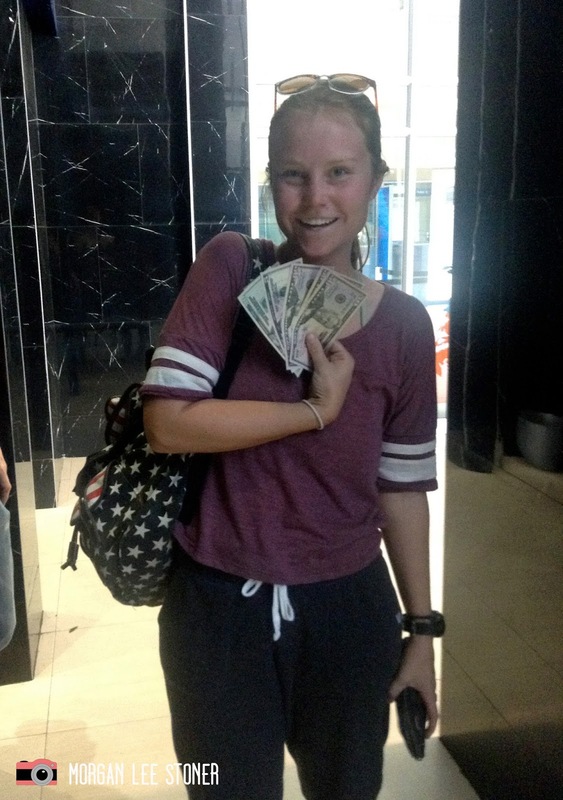 Withdrawing AMERICAN cash in Bulawayo! 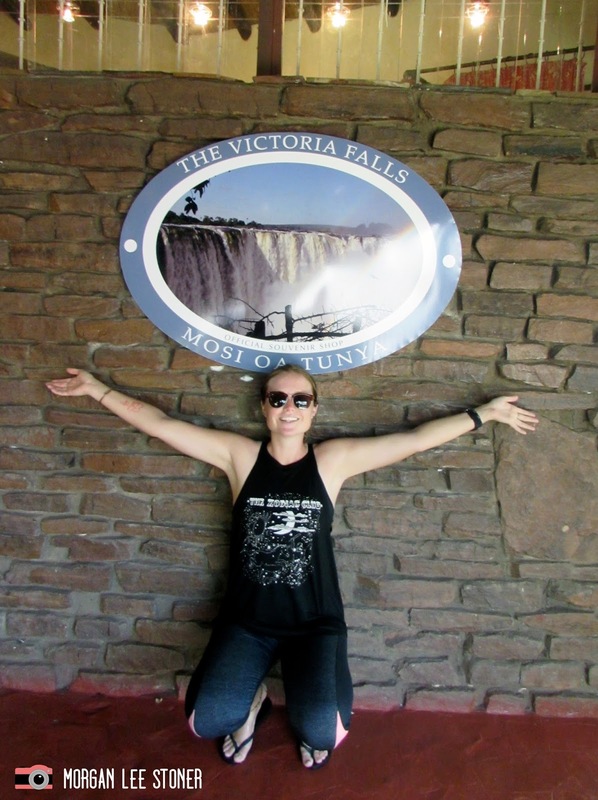 We arrived in Victoria Falls Town, Zimbabwe Sunday night and went straight to the backpackers for food, showers and sleep. 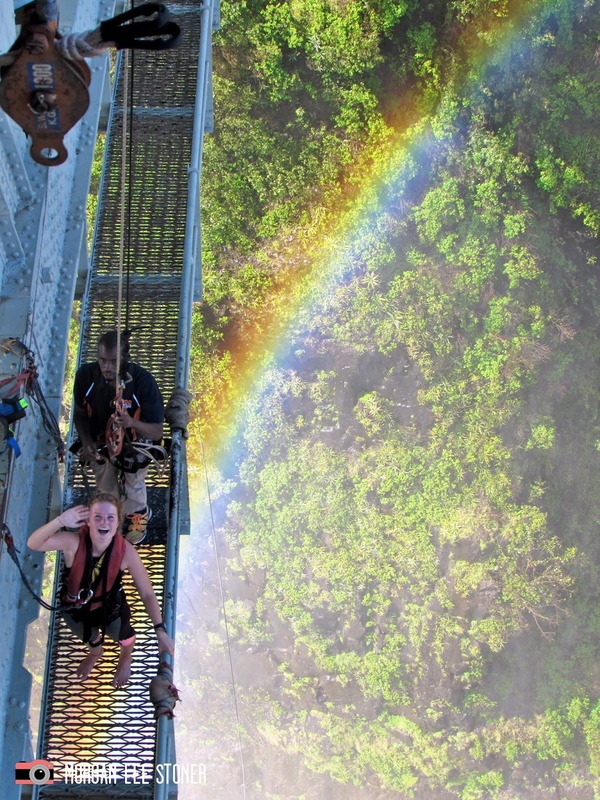 Monday, I BUNGEE JUMPED! People keep asking if I would jump again, and honestly, I'm not sure. I went back to the bridge the next day and looking down, all I could think was, "I'm an idiot, this is so freakin' high!" 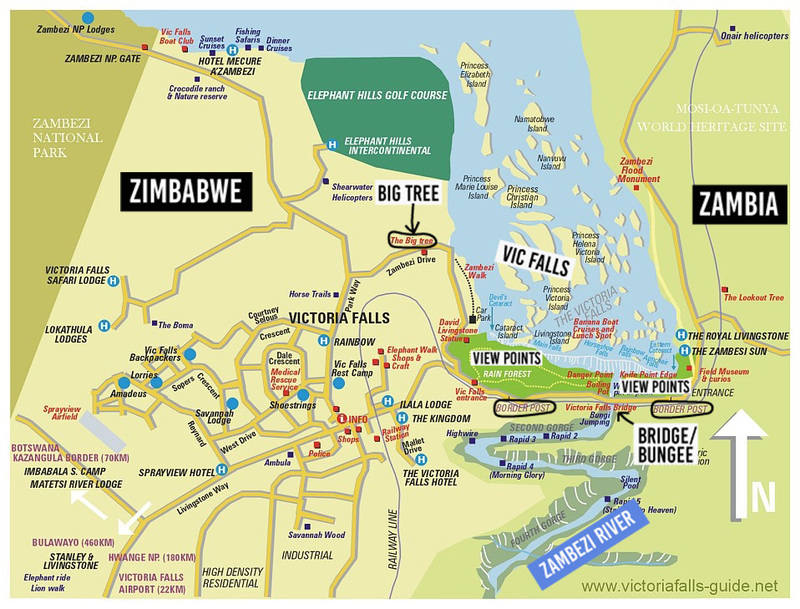 I jumped off Victoria Falls Bridge, which is over the Zambezi River, right next to the falls (see map). The bridge is between Zimbabwe and Zambia (the no-man's land called Zim Zam I told you about). In order to cross to the other side you need a Zambia visa. According to my research, this is one of the best/coolest bungees in the world! Monday, the best bungee leader-person ever! "Morgan, I can't hold your hands, I have to hook you up"
Am I supposed to be excited for this? Monday night Cathy and I went on a sunset "booze" cruise on the Zambezi River. Unlimited beverages, beautiful views, and cool animals.. not too shabby. It took me forever to distinguish the crocodile from a log. Tuesday we saw the "Big Tree". Yep, just a really big tree. But it was on the map so we went. 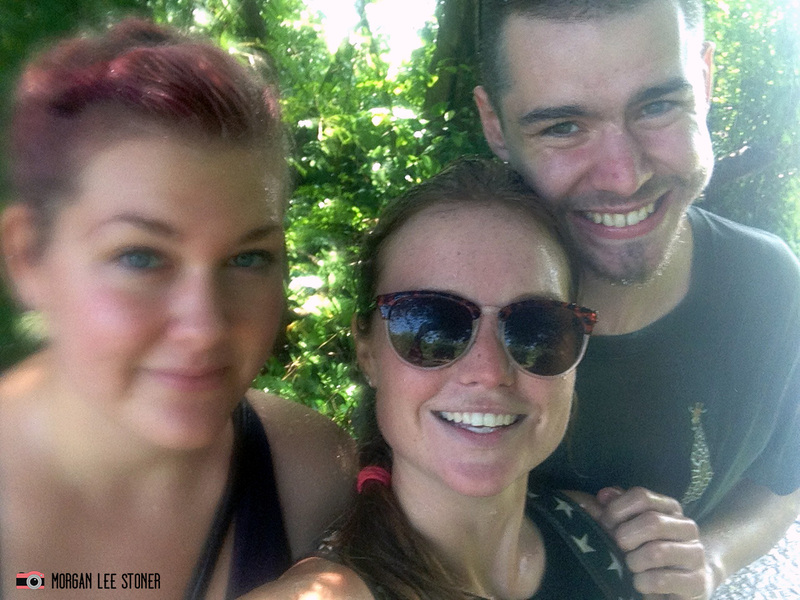 After we went to the "Big Tree" we trekked back to the bridge so Austin could bungee (what a follower ;P) then to the Zambia side to see more of the falls. (This time I remembered to charge my water-proof IPod for some wet pics). You can' tell, but the falls are directly to my left (right in the picture), hence the water. 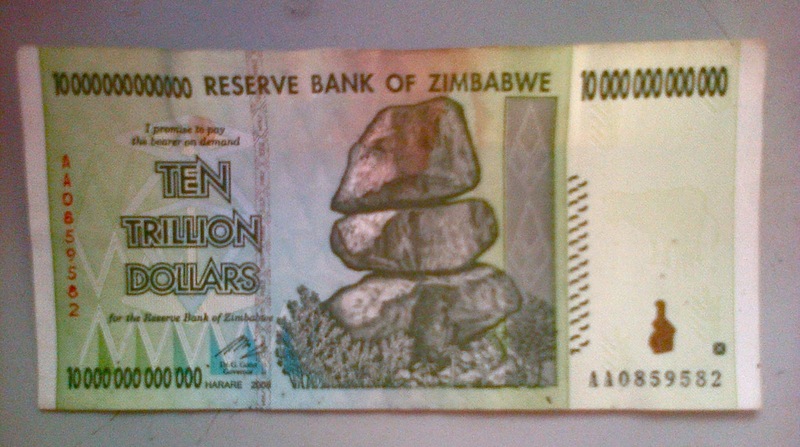 Before Zim switched to American currency, the economy collapsed or something (I don't know, ask an economist) and inflation was so bad that they had 10 TRILLION DOLLAR bills! So naturally, I bought one for 4USD and now I'm a 10 trillionaire. Not a great pic, but I'm rich so who cares? 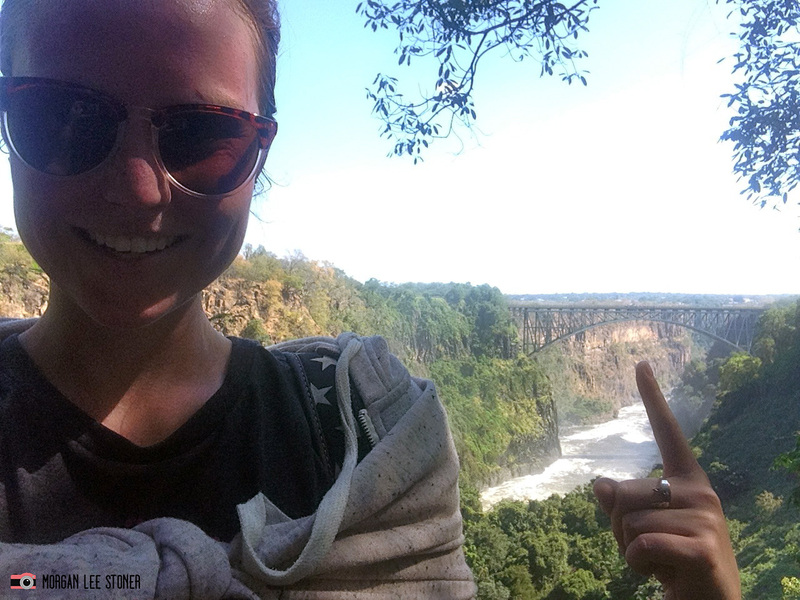 Victoria Falls Town, the bridge, viewpoints, and even the Zambia side are all very walkable so renting a car or paying for a lot of taxis is absolutely unnecessary. 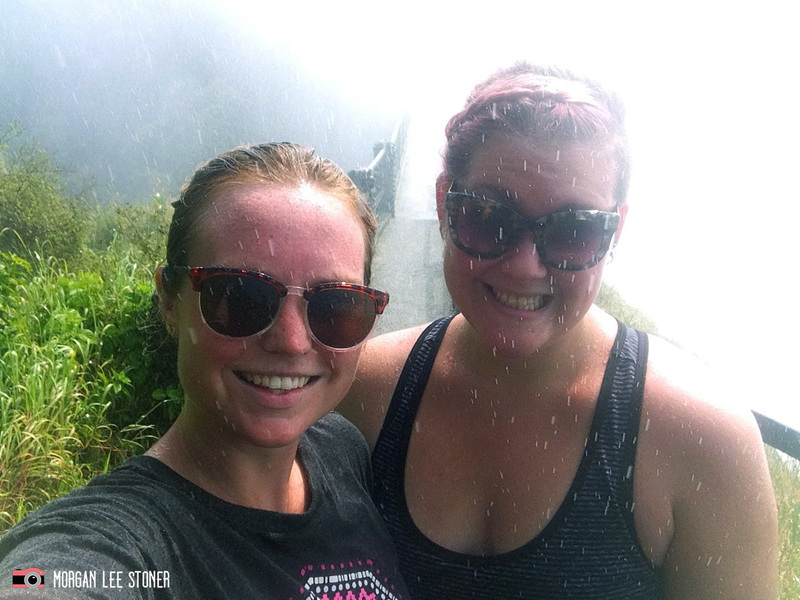 We walked from Zimbabwe to Zambia and back again in one day.